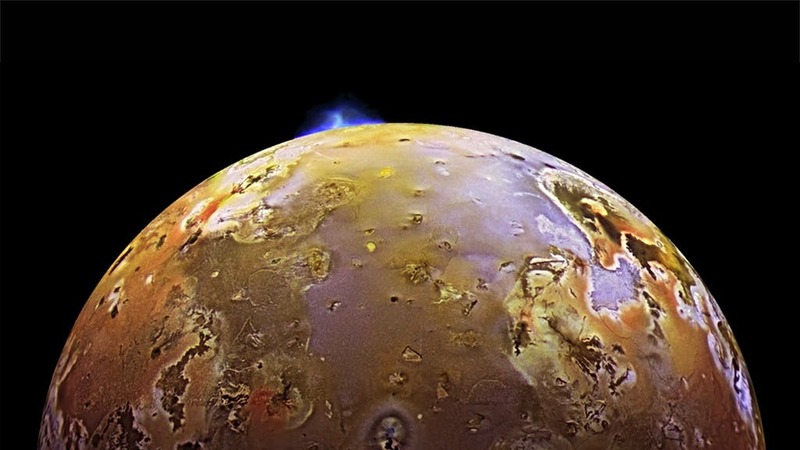 Jupiter’s Io is the volcanic epi-center of our solar system. But once you absorb the fact that the Jupiter’s innermost moon is slathered in sulfurous lava erupted from 400 active volcanoes, you might turn your attention to scattered bumps and lumps that turn out, on closer inspection, to be Io’s version of mountains.There are about 100 of them, and they don’t look anything like the low lying volcanoes. 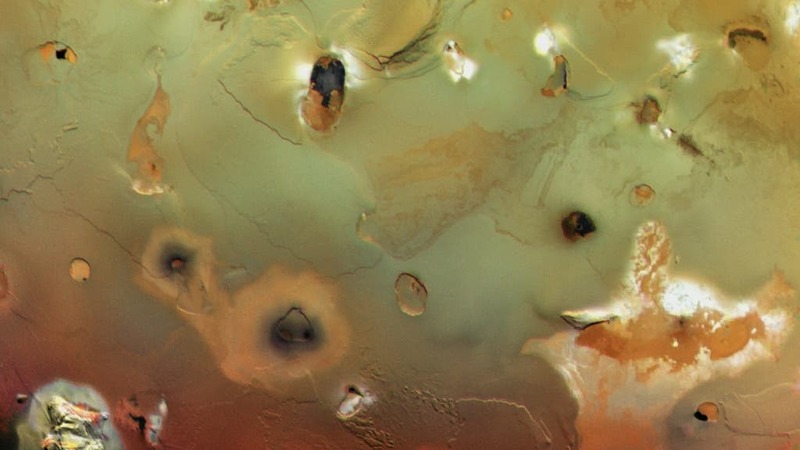 For planetary geophysicists like William McKinnon, professor of earth and planetary science at Washington University in St. Louis, the mountains of Io are an intriguing puzzle. By what process consistent with everything that is known about Io could these bizarre mountains have formed? Since Io buries the evidence of its tectonic processes under a continually refreshed coating of lava (adding 5 inches a decade), the scientists have turned increasingly to computer simulations to solve the problem. In the May 16 online advance issue of Nature Geoscience, McKinnon and Michael T. Bland, a research space scientist at the USGS Astrogeology Science Center in Flagstaff, Ariz., publish a computer model that is able to make numerical mountains that look much like the jutting rock slabs on Io. 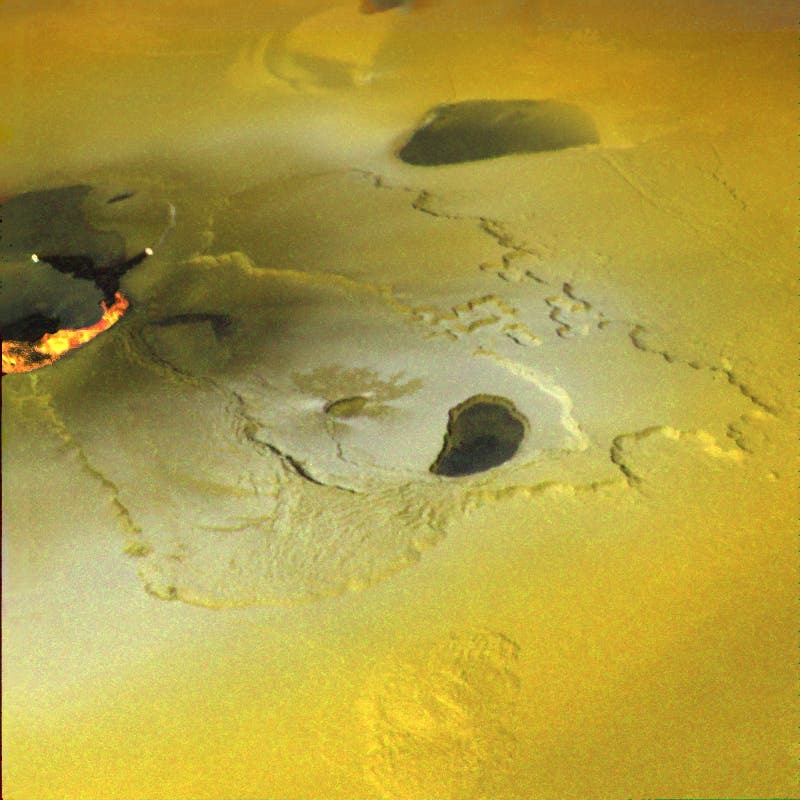 Active volcanoes are shown in the image above; constant lava flows in NASA image below. If all of this seems very alien, it is. “It’s a novel mountain-forming mechanism that we don’t see elsewhere in the solar system,” McKinnon said.”But the same kind of thing could have happened on Earth, when it was very young and entirely covered by a shallow ocean, because there was still lots of volcanism, mountains like those on Io might have burst through the ocean. They might have been the first emergent land on Earth,” McKinnon added. What is Venus Hiding Beneath Its Brilliant Shroud of Clouds? Changing Face of Saturn’s Enceladus –The Most Habitable Spot Beyond Earth in the Solar System?